What childhood campfire was complete without S'mores? That delectable combination that was almost better that birthday cake and certainly messier. 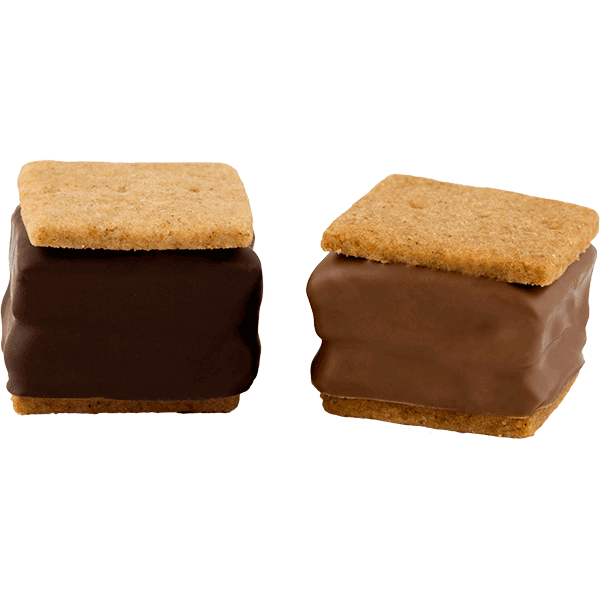 Woodhouse S'mores are traditionally crafted from marshmallows, made from scratch and then torched until they are just right, dipped in Belgian milk or dark chocolate and then sandwiched between hand made graham crackers. None better.